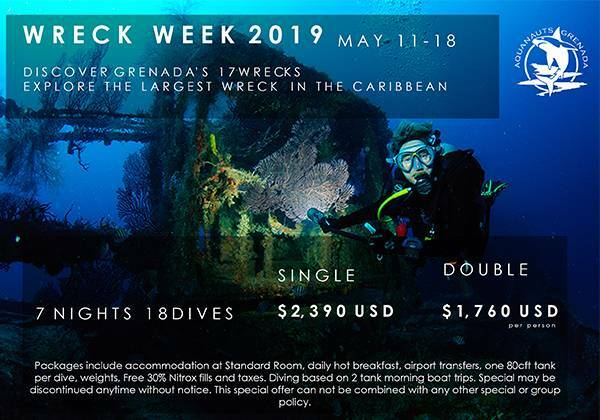 Relax in Grenada’s # 1 dive resort and discover Grenada’s beauty both above and below the surface. Have your hot breakfast at True Blue Bay Resort's waterfront restaurant and jump straight on our dive boat which is only a few steps away. Disover Grenada's 17 Wrecks including the world famous Bianca C.
$1,670 USD p.p. $2,390 USD p.p. Double $1,220 USD p.p. $1,760 USD p.p.